We want to win your business, why not give us a try? Do you have a poor working commercial Washing machine or commercial dryer in the NYC area? You can to the right place. At BZTech of NYC, we firmly believe that we have experienced any possible problem that machine can have. No broken machine can surprise us or leave us clueless when we have fixed over 10000’s of machines over the past years and yet NO machine left unfixed. Our technicians love what they do and strive to get better at what we do everyday. BZTech of NYC was established by factory-trained technicians in 2003 and has over 24 yrs. experience in the Commercial Laundry business. BZTech of NYC provides repair service on Commercial washers, dryers and ironers on a billable basis. Our staff can exchange parts under warranty at no charge. Non-warranty parts are all billable. 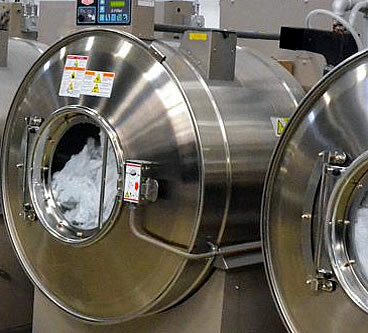 BZTech services and can repair your commercial laundry equipment in New York & New Jersey. BZTech of NYC can repair all types & makes of industrial laundry equipment. Wascomat, Cissell, Speed Queen, IPSO, Continental Girbau, Chicago Ironers, Milnor, UniMac, Huebsch, ADC, Sharper Finish Ironers, Maytag and many more. Our factory-trained technicians will not change part until they know for sure that any part is malfunctioning and needs repair. You don’t need a company who will send an untrained and inexperienced mechanic to your Laundry Facility to learn on your machines by changing all parts one by one just to see if machine starts to work. BZTech of NYC firmly believes that we have experienced any possible Washing machine, extractor or dryer repair problem that your machine can have. No broken machine can surprise us or leave us clueless when our technicians have fixed over 10000’s of machines over the past years and yet NO machine left unfixed. Our technicians love what they do and strive to get better at what we do everyday. At BZTech of NYC, service repair trucks are stocked with parts for Washing machine, extractor or dryers by Milnor, Unimac, Continental Girbau, American Dryer, Chicago, Sharper Finish, B&C, Ipso, Cissell, Speed Queen, Huebsch and Wascomat and more on our trucks. Do you have a poor working commercial Washing machine or commercial dryer in the NYC area? You can to the right place. At BZTech of NYC, we firmly believe that we have experienced any possible problem that machine can have. 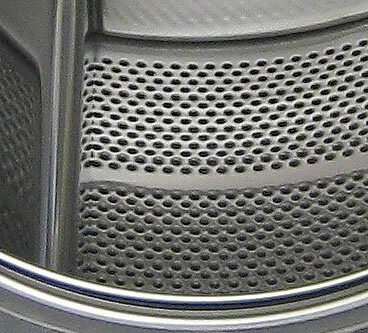 No broken machine can surprise us or leave us clueless when we have repaired over 10000’s of Washing machine, extractors and dryer over the past years and yet NO machine left unfixed. We love what we do and strive to get better at what we do everyday. BZTech of NYC was established by factory-trained technicians in 2003 and has over 24 yrs. experience in the Commercial Laundry repair business. Our technicians provide repair service on Commercial washers, dryers and ironers on a billable basis. Our technicians will exchange parts under warranty at no charge. Non-warranty parts are all billable. BZTech services commercial laundry equipment in New York and New Jersey. BZTech of NYC repairs and services all types and makes of industrial laundry equipment. Wascomat, Cissell, Speed Queen, IPSO, Continental Girbau, Chicago Ironers, Milnor, UniMac, Huebsch, ADC, Sharper Finish Ironers, Maytag and many more. Factory-trained NYC technicians repair Commercial Washer, Dryer and Ironers. The factory-trained technicians at BZTech of NYC are ready to help you identify and correct problems with your Commercial Washer, Dryer and Ironer service. You can rely on the professional services of BZTech . Our Technical Support Team has years of washer, dryer, and ironer technical experience and has been supporting customers for the past 9 years. BZTech provides timely, reliable service and repair solutions to get your laundries back up and operating at peak performance. BZTech can service every part of your On-Premises Laundry from routine maintenance and service to large or complicated problems. Our goal is to help you will see a rapid return on your investment of your Wascomat OPL Equipment and Electrolux Professional OPL Equipment by keeping your in-house laundry operating at peak performance. Emergency 24 hour Repair Commercial Washer, Dryer and Weekends too! BZTech offers "Emergency 24 hour and Weekend Service" to our customers. Additionally, we operate on both a daily and emergency basis providing extensive troubleshooting should the situation occur. These scenarios may include situations where some changes in a building may affect the operation of our equipment. Trouble with water, gas, electric, compressed air or exhaust ducts. Other examples include figuring out that a compressor is down, or that an external fan is not operating properly, or fire damper in the exhaust duct is closed, etc. BZTech has been supporting customers for the past 9 years. When our customers have a problem, BZTech provides timely, reliable service and repair solutions to get their laundries back up and operating at peak performance. Call BZTech today for your service needs. keywords: commercial Washing machine, commercial extractor, commercial dryer, NYC area, NYC Healthcare Laundries, NYC Hospitality, NYC Industrial Laundries, Hospital laundry equipment, Hotels & Motel laundry equipment, Uniform Rental Services, NYC Nursing Home laundry equipment, laundry equipment at NY Resorts Properties, NYC Professional Dry Cleaners, Assisted Living laundry equipment, Retreat & Meeting Centers, NY Coin-Op Laundries, Out-Patient Centers, Restaurant laundry equipment, NY Government Installations, Casino laundry equipment, Commercial Laundries, NY Correctional Institutions, Linen Rental Companies, NYC Fire Department laundry equipment, Veteran’s Administration, NY County & State Agency laundry equipment, The Military Services, Schools and Universities, NYC Health Club laundry equipment, NY Golf and Tennis Clubs, NY Professional Sports Clubs, Time-Share Properties, NYC Private Industry.